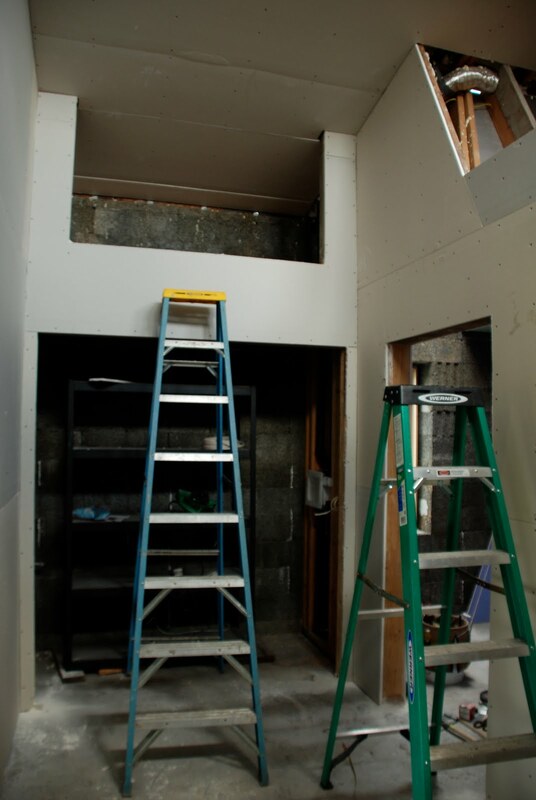 We've at last arrived at the drywall hanging part of our house project, which has been the most exciting for me, so far. 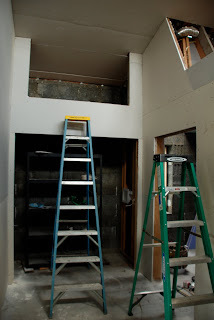 It's taking the rough outline of the house we envisioned three years ago, and fleshes out the concept into actual rooms with ceilings. In addition, we're able to begin choosing finish details, such as floor and wall colors, and trim details. The finished end is in sight! Not that I have any illusions about the amount of work required to move us forward to the end of our process. 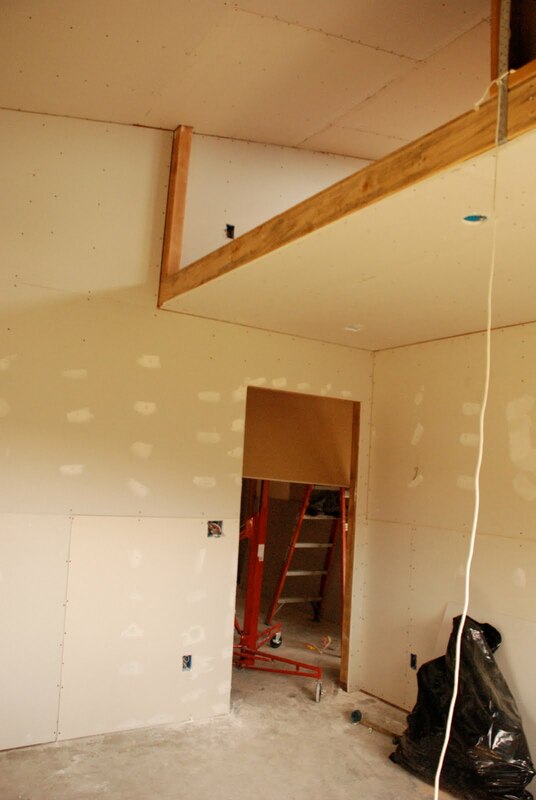 Everyone says, and I think they're right, "drywall hung, half-way done." I can see how imagining finishing the ENTIRE house would feel daunting and nearly impossible. But we are planning on taking it room by room, starting with the master suite, which includes the bedroom, bathroom, and our large closet. It is about the same square footage of the yurt, but it would only be a bedroom. We are hoping to finish this first and move into it. For now, we are mudding and taping, and preparing for plastering. To try out the product, and evaluate its cost and usefulness, we are going to use American Clay in our bedroom and bathroom. The exterior walls, which at this point are still raw Faswall blocks, will get an initial base coat of Structolite, which is basically a gypsum plaster, mixed with sand. We are also evaluating another product from American Clay called Enjarre, which is clay plaster designed for commercial installation. Whereas the regular American Clay plaster is applied by hand, Enjarre has a different recipe which allows it to be sprayed on and then back-trowled, and it is less expensive. Basically, it's cheaper and takes a lot less time to install. I'll be updating on this as it evolves.